Spread out in this large 4 bedroom, 3 bathroom home with high vaulted ceilings, tons of natural light, granite countertops, an extra loft/living space upstairs, & a huge, fully fenced backyard! Located in the desirable Heritage Estates. This house has it all. 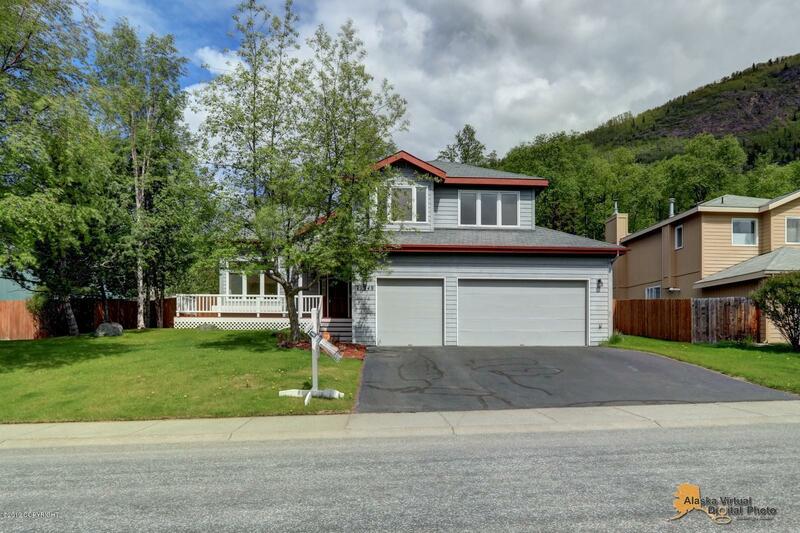 Cuddle up with the gas fireplace in the winter, or sit out on the back deck and enjoy the Alaskan summer with in your face mountains views.